How Do I Help You Grow Your Career? When our first priority is helping others amazing things can happen. 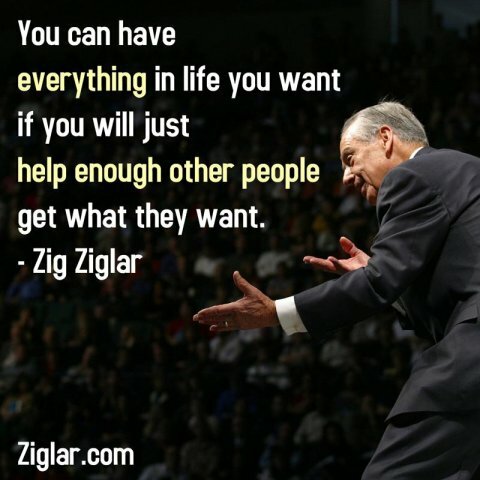 As you focus on serving others, your organization and your customers good will come your way. Since landing my first job at 13 years old delivering newspapers (remember those) for the Detroit Free Press to filling Vice President and President roles at different organizations I have been learning priceless career lessons. From education, resume writing, interviewing, management and everything in between I’ve been a part of it all. So, how can I help you grow your career? Here’s where to start. If you are always trying to figure out the next move to climb up the corporate ladder or positioning yourself for the next promotion chances are you will miss out on establishing a strong foundation. Approach everything you do with the mindset of serving, adding value and putting others first. Networking doesn’t always mean cocktails at a mid-week meet up (although that’s not a bad idea). Connecting with co-workers in your department and outside of your department is critical to your success. Don’t underestimate the power of inviting someone to lunch or out for a cup of coffee. No one ever arrives. It doesn’t matter how much education we have accumulated or how many awards we have won we can all benefit from having a coach or mentor in our life. Nothing beats having someone you can connect with for feedback and counsel. But if you can’t meet with someone in person there blogs, podcasts, books and an Internet full of “virtual coaches and mentors”. Careers live and die on communication. Where truthful and transparent communication are a priority relationships thrive and your career is strengthened. It doesn’t matter if you are an extrovert or introvert you can be a great communicator. know what is happening on the frontlines. Professionals and Christian Retail 3.0 (full disclosure: I manage this group). expertise of others by posing your own questions. brochures, so prospects learn more about you and can easily connect. recommendations of others and then ask them to reciprocate. news, store events or product releases within your LinkedIn network.